The Capital City Feis is ReelJig Irish Dancer's annual competition held at Soundings Theatre in the Museum of New Zealand Te Papa Tongarewa. A two day Irish dancing event for the community to attend and for dancers from around the country to compete and perform in. 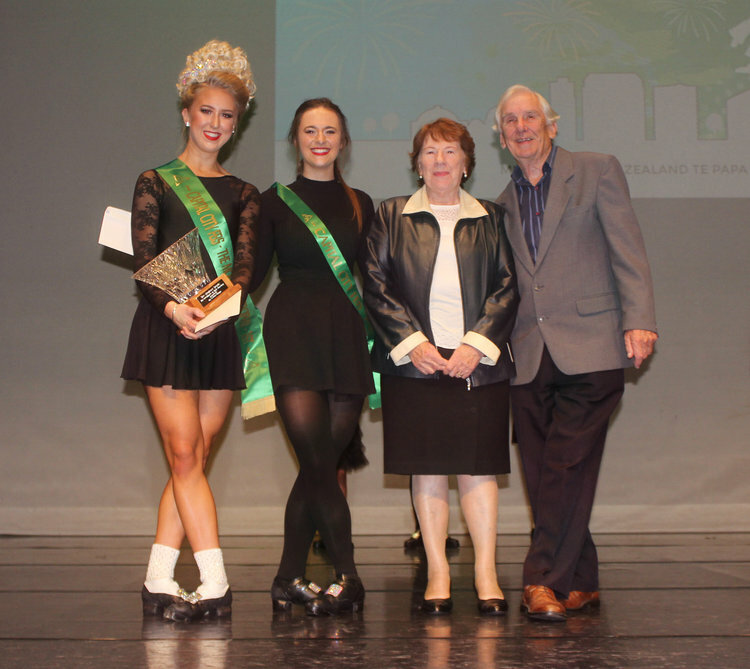 To honour of our Irish forebears, a new and prestigious class, recognising excellence in Irish Dancing has been created at the Capital City Feis. Open dancers of any age perform a hornpipe, competing for the The Moghane Trophy. The Waterford Crystal trophy is donated by May & Peter Gregan. A fun section where dancers get to show the crowd their own choreography (hard of soft shoe) with music and costumes of their choice. See videos of contemporary performances from last year's Capital City Feis on our videos page below.